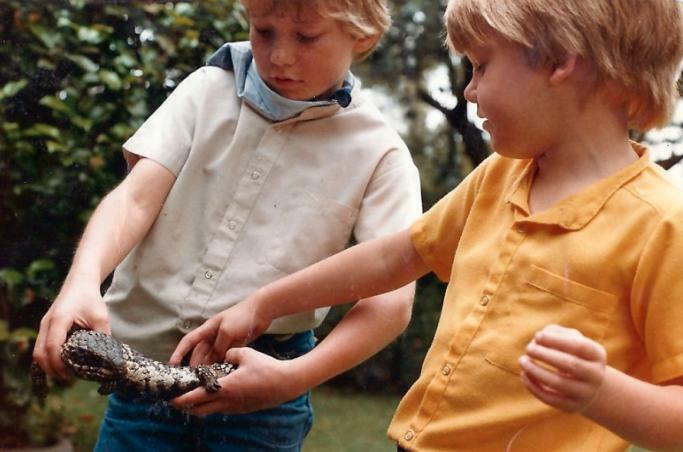 I spent most of my primary school summers looking for lizards. 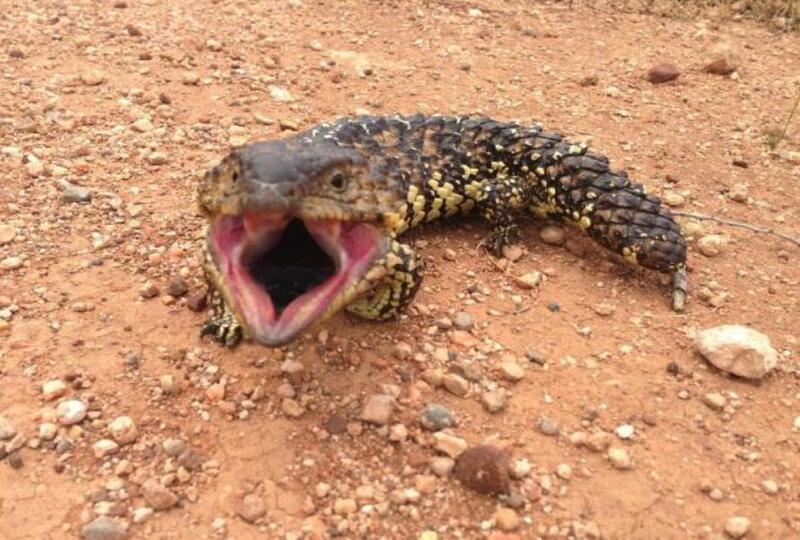 In my garden I would find ‘garden skinks’ and occasionally the mighty blue-tongued lizard. But one day, during a game of cowboys and Indians, my brothers and I found what we thought was a pine cone. It turned out to be ‘sleepy lizard’, also known as the stumpy-tail, shingleback, bobtail or pinecone lizard in other parts of Australia. I was extremely excited but also puzzled because I knew they didn’t naturally occur in the eastern suburbs of Melbourne. I concluded it was an escaped pet, but I couldn’t help wondering why this kind of lizard didn’t naturally occur in my backyard. Over 30 years later, a more general form of this question – what limits the distribution and abundance of animals? 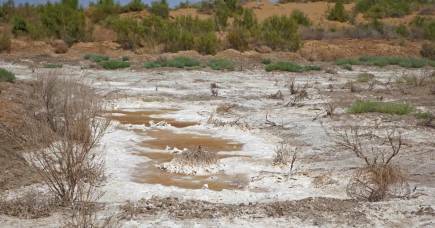 – is the central focus of my ecology research program at the University of Melbourne. This week, my colleagues and I published a paper that represents the culmination of a 20-year journey of working out how to answer this question - and the star of the paper is the sleepy lizard. The key to the approach we applied to the sleepy lizard is the application of physics to ecology and, specifically, the laws of thermodynamics which relate to temperature, the exchange of energy and matter, and the mysterious concept of ‘entropy’. In more familiar terms, this involves computing the heat, water and food requirements of an animal, how this relates to the environments they actually experience, and how this in turn controls their ability to survive, grow and produce offspring. Like most other ecologists, I’m no physicist but I was able to stand on the shoulders of two scientific giants to put such an approach together. One of these scientists is Professor Warren Porter of the University of Wisconsin in the USA, who pioneered ways to compute the ‘microclimates’ experienced by animals and what this means for their body temperature and rates of water loss. The other is Professor Bas Kooijman of the Vrije University in the Netherlands who developed a formal theory for how animals take up food and use it to develop, grow and reproduce. In previous work, I connected the fruits of these scientists’ labour in an integrated model that simulates the life cycle of an animal, given its own unique responses and sensitivities to climate. We can do this in different places on Earth to see if animals can survive. To properly test this approach we also drew on the expertise and efforts of another scientific giant, the late Professor Mike Bull of Flinders University in South Australia. Professor Bull spent over 40 years amassing one of the world’s most comprehensive long-term datasets on the ecology of the sleepy lizard. 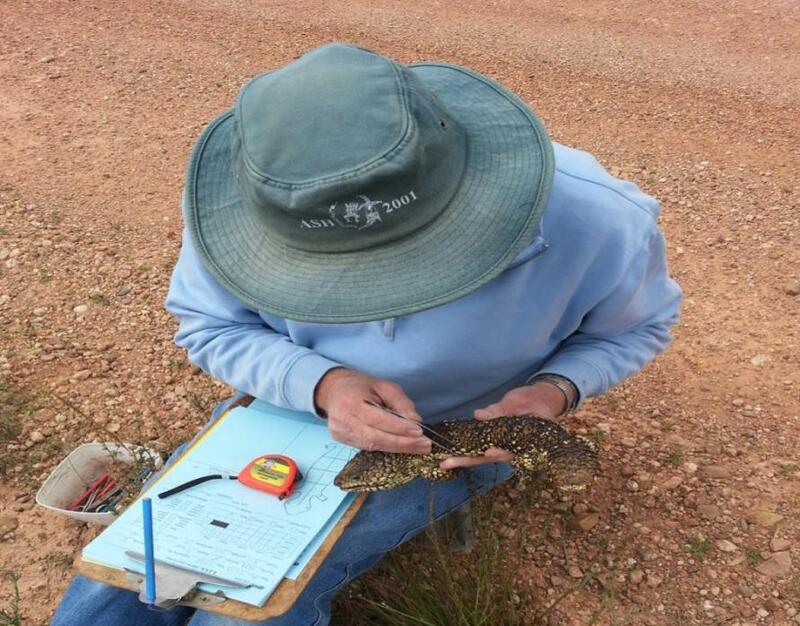 His observations include basic lengths and weights of lizards that he encountered on annual spring field trips to his study site near Burra, South Australia. Professor Bull also recorded detailed information on the temperature, GPS location and numbers of steps or ‘waddles’ taken every few minutes by the lizards using custom made devices called ‘waddleometers’. Long-term datasets like this are extremely precious because few researchers have the foresight and dogged determination to carry them out. 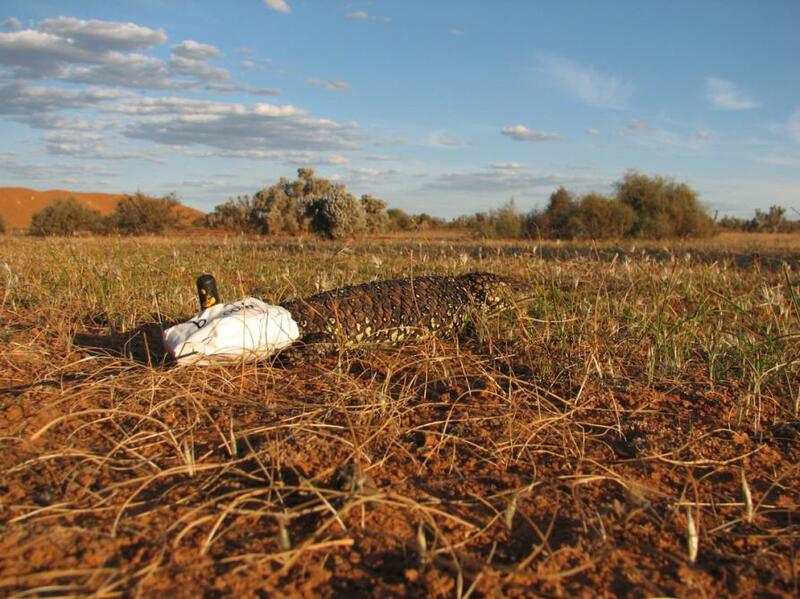 When we put our model through its paces against the sleepy lizard data set, we could predict the hourly patterns of body temperatures, activity and trajectories of growth and reproduction with high accuracy. But real insights from these kinds of ‘first-principles’ models often come from examining anomalies. In this case, there were unexpected patterns of activity one spring when most of the lizards being tracked either vanished or showed very flat body temperature traces. This corresponded to a time when we predicted the lizards would be losing water because plants they eat were drying out. In fact, the lizards were retreating deep into burrows – especially wombat burrows – where temperatures are more stable and humidity is very high. After a big rainfall event, they reappeared and continued with their normal November activity patterns. Curiously, a small proportion of the lizards remained active the whole time, apparently unaffected by the dry spell. When we plotted their GPS traces onto a map we found they were living around a farm dam and so had access to water. Our discovery of a high sensitivity to water loss was a surprise as lizards have water-tight skin and the sleepy lizard’s skin looks rather impermeable to water. Yet when we generalised our calculations across the continent to infer their distribution, our predictions only made sense if we included what we know about their water needs. 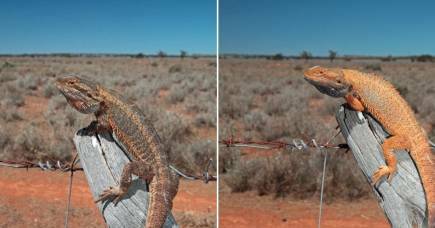 This is an important insight for efforts to predict the effects of climate change on lizards and other ‘dry-skinned’ creatures such as insects and spiders. 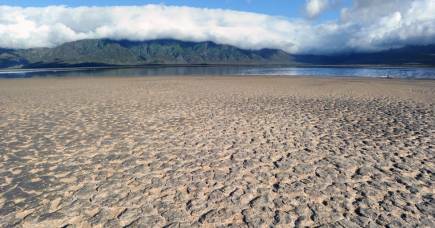 Most research in this area is focused on temperature alone, but our findings clearly show we need to include the processes that drive water balance including rainfall, humid microclimates and the water available in food. But despite all the insights provided by our model, I still don’t understand why sleepy lizards can’t survive in the eastern suburbs of Melbourne.